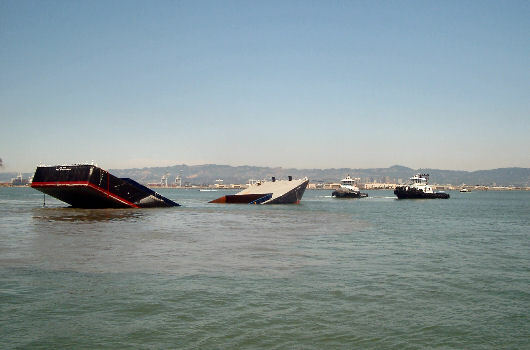 In the summer of 2006, while at anchorage in the San Francisco Bay, the brand new 4,000 ST hopper barge EVA JOAN broke and folded after receipt of its first load of sand. 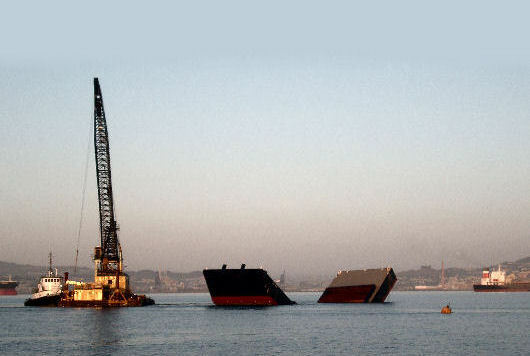 The barge came to rest on the bottom with its broken midships and with both ends protruding out of the water. Over the next few days, the bow section slowly sank below the water. Argonautics Marine Engineering, Inc. was hired to provide salvage assistance during the recovery of the barge. Using divers and a submersible pump, the sand was removed from the hopper. This operation was hampered by the strong tidal currents in the Bay. Using compressed air, the void spaces were deballasted. 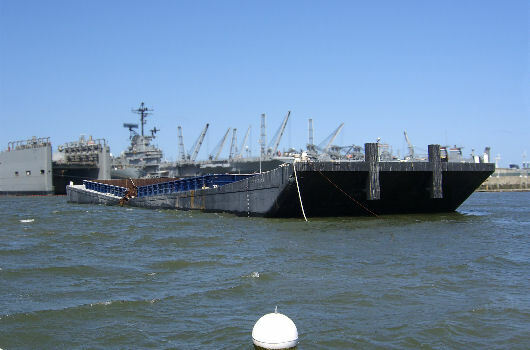 However, because of the remaining strength of the broken hull, the V-shaped barge remained grounded. To straighten and refloat the empty barge, it was dragged to shallower water, thus forcing the midship section up. Adding weight and ballast water to the end voids further assisted in straightening the hull and reduce its draft so that it could safely be moved into the dry dock for repairs. 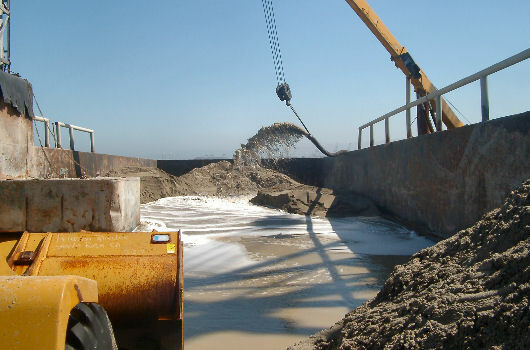 Early 2007, the hopper barge was repaired and reinforced and returned to service, moving sand and aggregates. 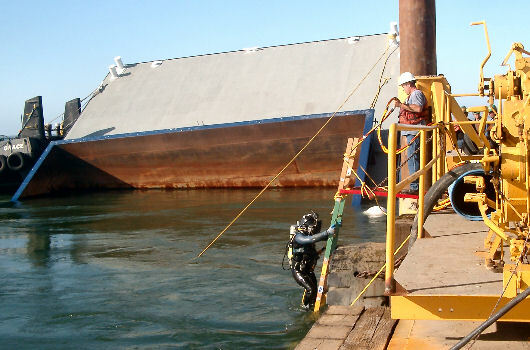 ■ Survey the barge hull structure before, during, and after the repairs.